Don't Miss PHASE 2 LAUNCH - Starting 2nd APRIL 2010! For SPECIAL INCENTIVES and guided tour around The Interlace's spectacular 20,000sq ft show gallery Contact Developer's Sale Representative Now ! 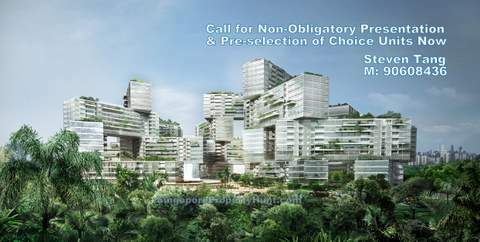 Yes the much awaited Phase 2 launch of The Interlace starts 2nd April 2010. Despite government measures last Sept 09 to cool the market, The Interlace was well received with units are almost completely sold out during the Phase One releases. So don't miss this exciting Phase Two launch with a spectacular 20,000sq ft show gallery now awaiting your visit. Designed by world renowned German architect Ole Scheeren, The Interlace is huge condo development of 1040 units utilizing an unconventional approach of interlocking blocks stacked in a hexagonal arrangement resembling a ‘vertical village’ with landscape courtyards all around, each one with a different theme. To allow even more space for the residence to enjoy and move about, cascading sky gardens, both private as well as public roof terraces can be found on each stack called a superlevel. Despite being a huge development the good utilization of horizontal and vertical spaces allow the residence to feel the spaciousness and not overcrowded. As almost every unit will have a view that will appeal to every individual, a good understanding of the development can help you pick your choice unit. 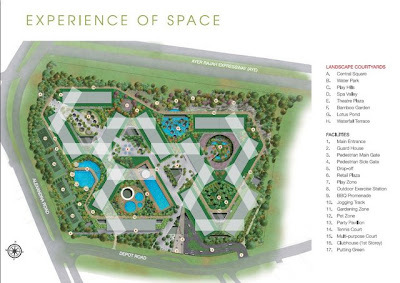 A private presentation can be requested to understand more about the development. filling the form below or Call 90608436 now! Ole Scheeren is the man behind iconic developments such as the China Central Television Station CCTV, the Television Cultural Center (TVCC) in Beijing and and Mahanakhon, a 300-meter mixed-use tower in the city of Bangkok.